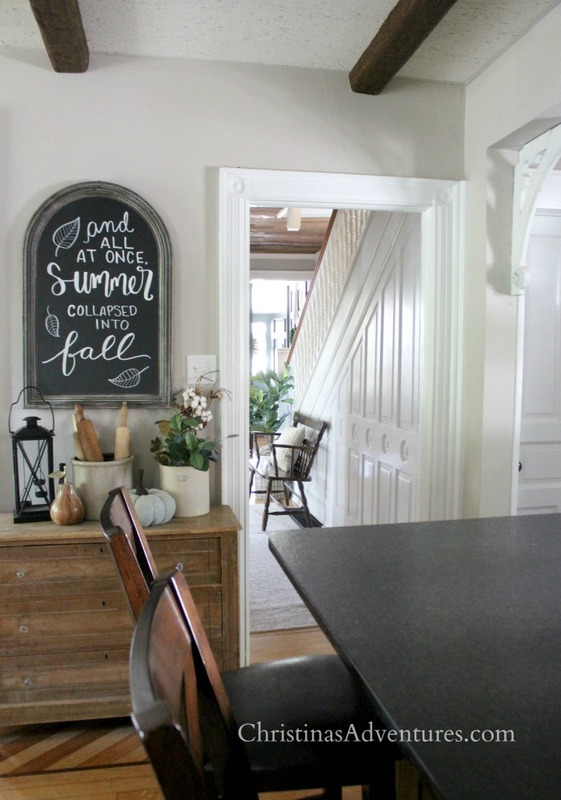 This simple autumn home tour in a Victorian farmhouse fixer upper shows simple fall farmhouse decorating ideas that won’t feel overdone. Affiliate links are included. It has been SO HOT here in Pennsylvania, and I have been so excited for fall weather. 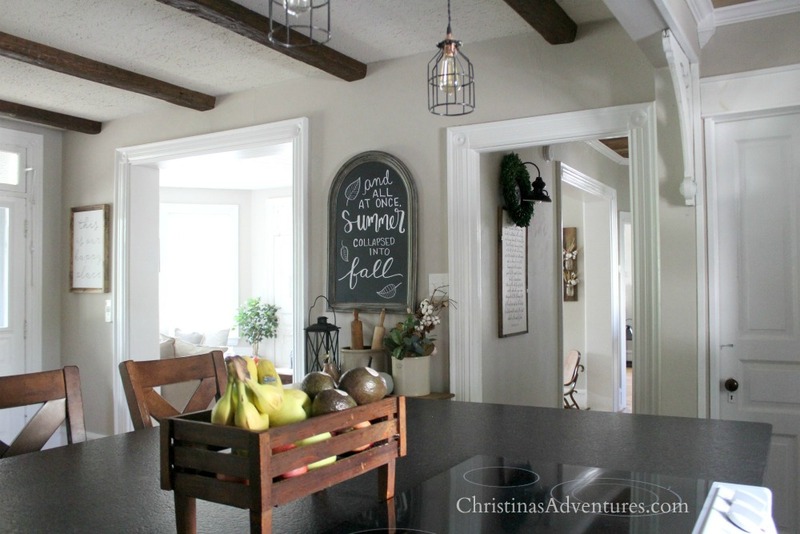 This fall home tour post must have really been what turned the weather, because fall is finally here! 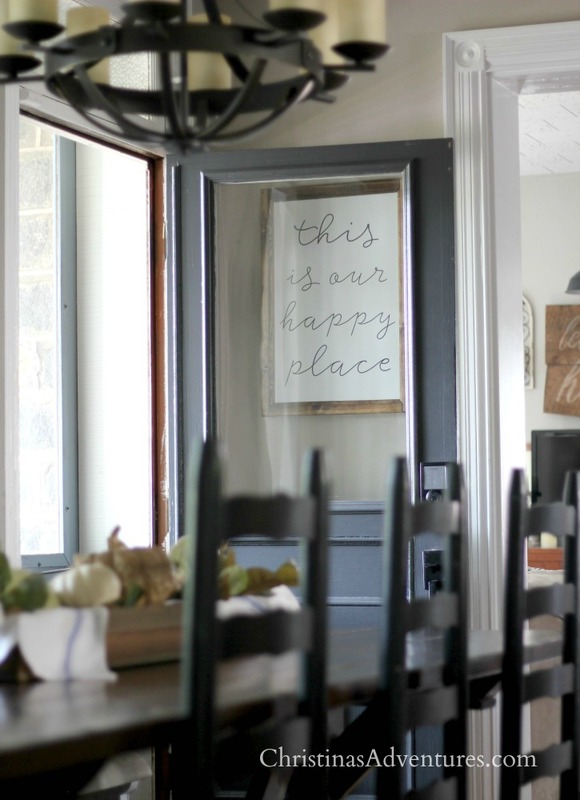 I already shared my fall entryway and family room, but today I’m showing some other parts of our home that are super simply decorated for fall. 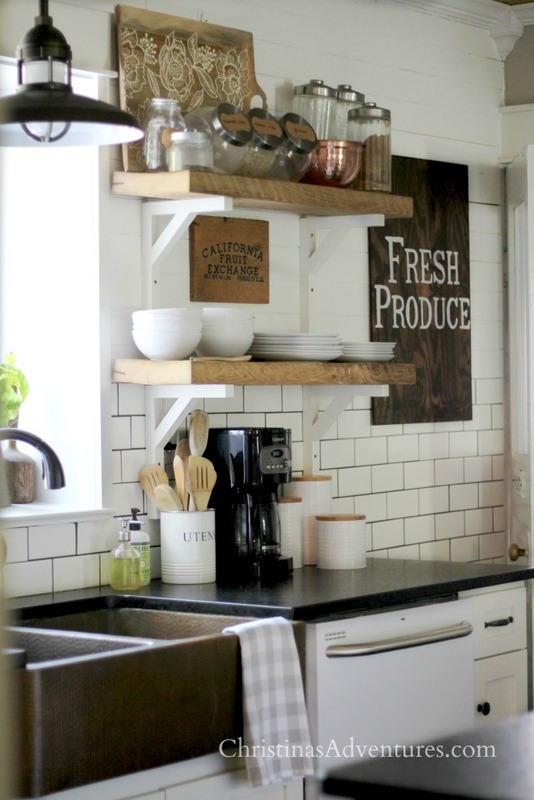 This side of our kitchen is going to get a makeover soon, and I can’t WAIT to share the plans for this space with you! 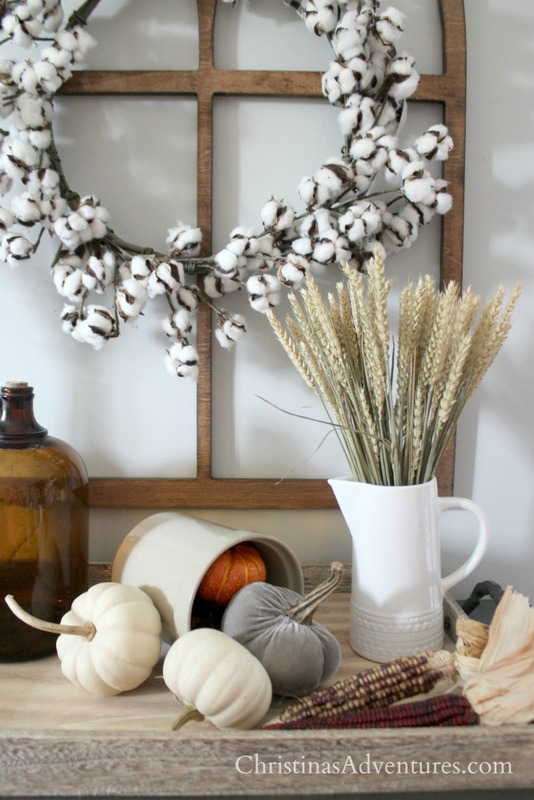 So there you have it – inexpensive, simple, touches can make a house feel like a home this autumn. Now that you’ve seen my home, come tour this home from my sweet friend Areeba, and check out my other friends below! 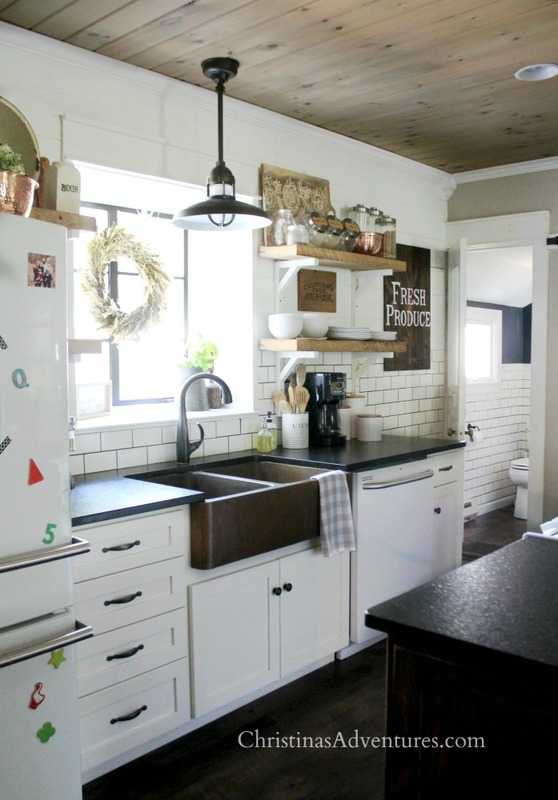 Their homes are just beautiful, and I know you’ll be inspired by them. Christina I love all the sweet vignettes you’ve added! Simple touches of fall are the best. 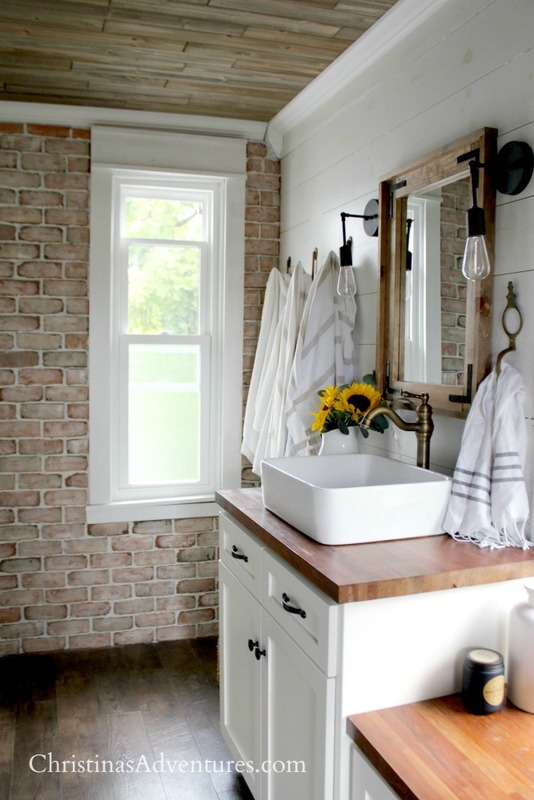 How can I locate the sconces you show in one of your bathroom photos? Christina, this is stunning! 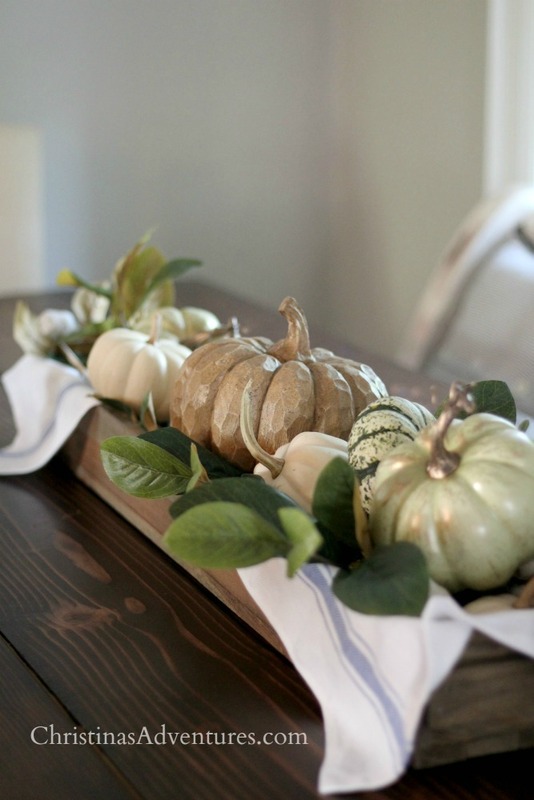 I loved how you kept it simple and neutral but with the perfect touches of autumn. So beautiful, I just love your home! 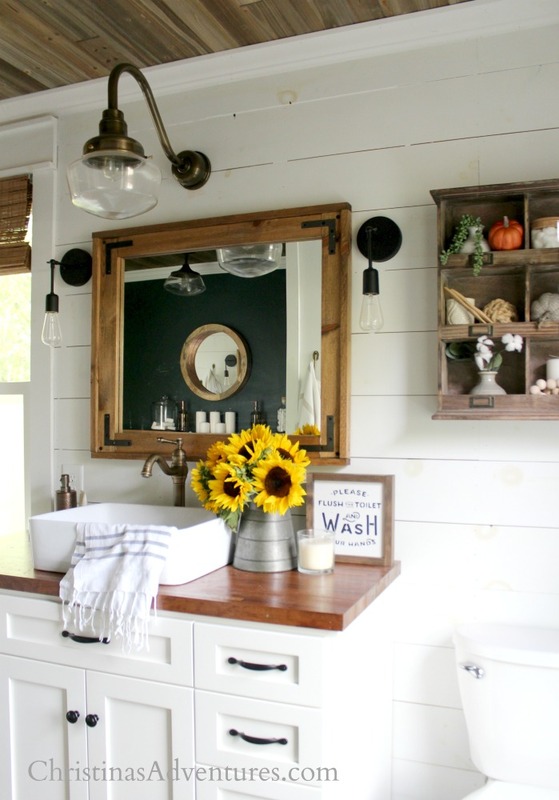 Christina your bathroom with the sunflowers is so beautiful!! 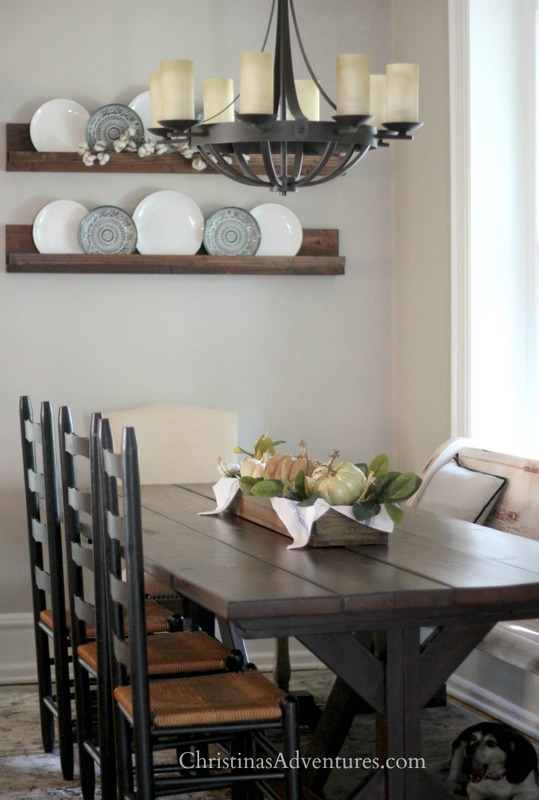 I love that mirror and those light fixtures!! 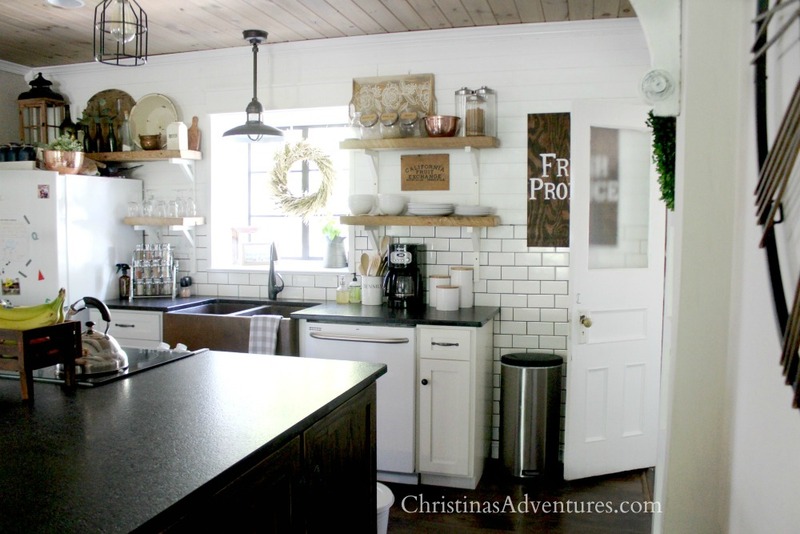 Great Autumn Home Tour! Christina, I enjoyed your tour so much! Your fall touches are perfect. 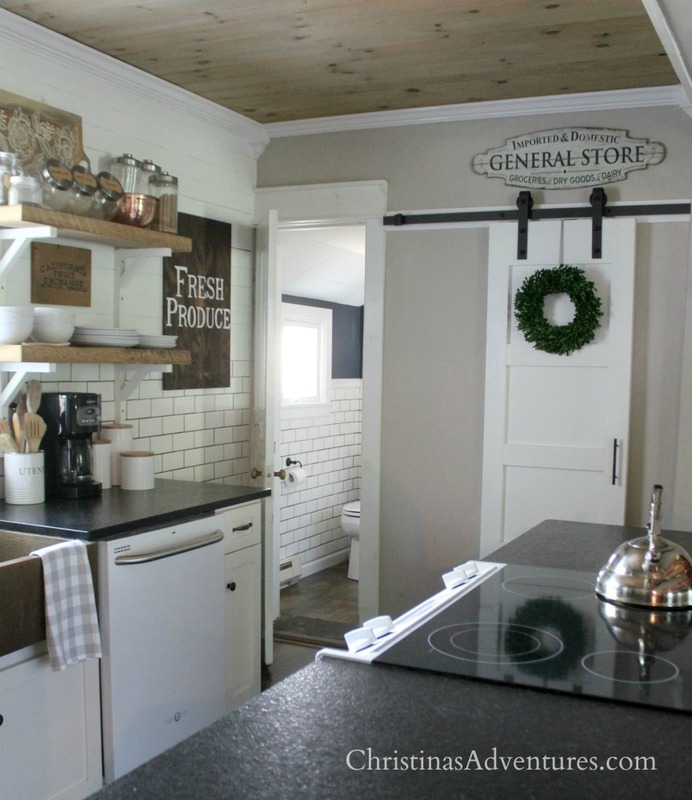 I especially love your farmhouse bathroom. Happy fall! These are the cutest little touches of fall! 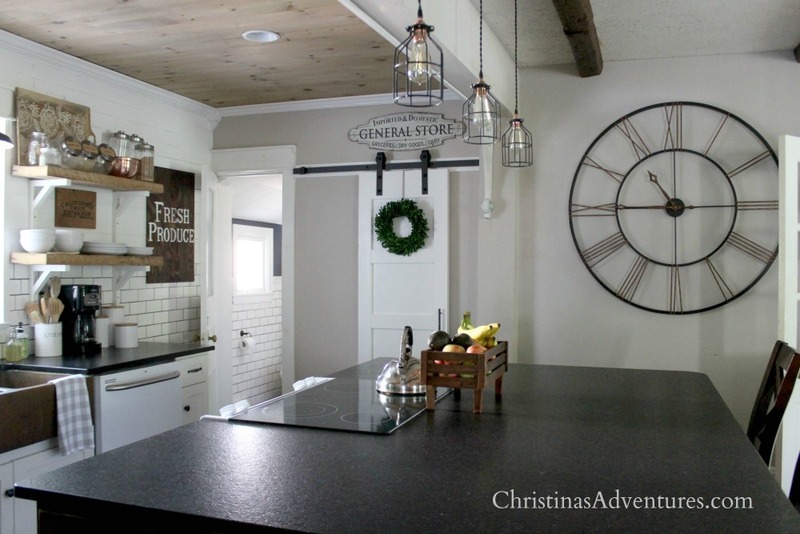 Thanks so much Christina for sharing your beautiful home with us. So inspiring!